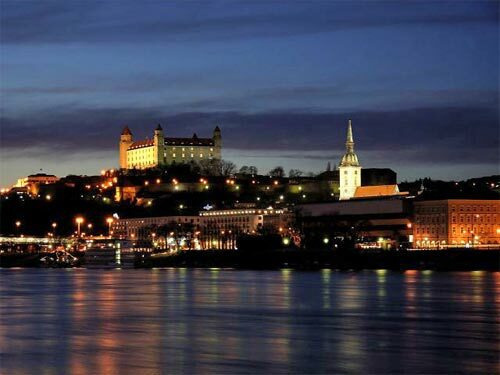 Bratislava is the capital city of the Slovak Republic. It is the seat of the President, the seat of the National Council, and the seat of the Government of the Slovak Republic. Being the largest Slovak city, it is not only the administrative and industrial, but also the cultural and scientific center. All this, and Europe’s greatest river as a backdrop. The city has a long and proud history that dates back to pre-Roman times. The hillsides on the edge of the city have been home to vineyards for centuries. In the city there is plenty to see and do. Bratislava’s long history – as home to Celts, Romans, Germans, Hungarians, Jews, and of course Slovaks – means there is an impressive range of architecture, languages and cuisine. Bratislava was once one of the most important centres of Jewish learning in Europe. A unique memorial to its most renowned rabbi, the Chatam Sofer, and the city’s Museum of Jewish Culture celebrate this heritage. This committee aims to work with participants towards a better understanding of the role of women in Islam and Judaism. Participants will work on finding a means of empowerment and education, dispelling stereotypes and misconceptions about the way women are treated in our religions, and enhancing the presence and voice of women in religion. Participants will receive support in developing projects addressing the role of gender in religion, community and politics. How do we raise their status? How do we promote the voices of women in our communities? What does it mean to be a member of society, a citizen of a state and a person of faith? How do these elements of identity affect us, our relationships and our social environment? Are there ways to reconcile the demands of society and our religious and/or spiritual convictions? This committee offers a space for Jewish and Muslim participants to guide each other in a critical approach to concepts such as citizenship, radicalism and loyalty. Through discussion of case studies both historic and current, the committee will explore the political questions and dilemmas facing people of faith. The overarching goal is to formulate a Muslim-Jewish declaration, reflecting an innovative road map towards faithful and loyal citizenship. Is there an effective way for individuals to minimize and prevent conflict and tensions between groups, to combat stereotypes and prejudices and to establish relations based on mutual trust in the communities where they live? How does one engage? Who does one engage? How long will it take? How will community action bear fruit? Participants of this committee will be trained in the theory and process of sustained dialogue, and receive support while devising concrete plans for community participatory action programs and sustained dialogues. They will be able to envision steps to creating a network of trained facilitators of community group efforts. Challenging a polarized context that emphasizes only negative narratives of Muslim-Jewish history, this committee aims at highlighting, sharing and discussing periods of shared history and examples of positive interactions, showing Muslim-Jewish relations from a different angle. Participants will interactively learn to analyze historical narratives, question media-tization and historical propaganda, and gain a deeper differentiated insight into the positive moments of our history. They will receive support in developing and sustaining their own research and projects aimed at presenting positive narratives to today’s and tomorrow’s audience. Participants of this committee will study the historical, theoretical and ideological foundation and history of Anti-Semitism and Islamophobia and acknowledge the protagonists and organizations behind them. In this committee, participants will be introduced to existing anti- Muslim and Jewish sentiments, globally and within faith based communities, and the reasons for their propagation. The committee will look for ways to reduce these sentiments, with support from arguments and projects from Muslims and Jews within our communities and the majority society and find ways to multiply and increase these efforts. Participants will formulate ways to better understand the need for joint actions against both phenomena in the 21th century. Strategies and existing or possible projects countering Anti-Semitism and Islamophobia will be discussed, developed and established. This working group will exchange valuable information on how to set up a business or organization, receive an introduction into the basics of Islamic finance and other valuable input and training, and work on concrete project ideas and proposals as well as the possibility of developing a Muslim-Jewish business network. This working group is intended for young professionals seeking to effectively implement and/or find partners for their business ideas, be they social ventures, classical business, or other ideas.